When we look back at the best moments of 2017, it will be a known as a year of the flyweight, as the fighters from the 125-pound division capturing most of the headlines. 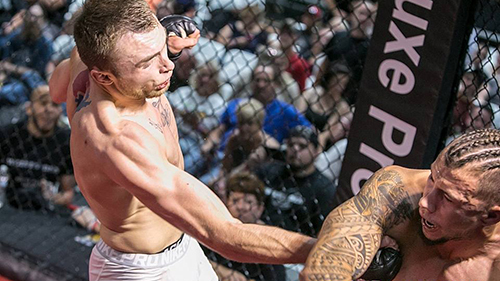 We saw impressive showings for fighters like Sam Paneitz, Corbin Howard, Brittany Cloudy, and Kris Craig. With nominations aplenty, the flyweights dominated our amateur KO category, while netting two fighters nominations for Fighter of the Year. On the pro side of things Charles Johnson took the banner for top flyweight and ran with it netting himself a couple of nominations in the process. After a month-long process, that included community suggested nominations, and an expert panel of local coaches, promoters, and other officials narrowing down the list, here are your winners in the amateur categories. It was a pretty spectacular year for Sam Paneitz out of the Wolves Den Training Center. A perfect 6-0 record (8-0 overall) fueled the young flyweight out of Wentzville to 54-percent of the vote in a breakout year and established him as the area's top amateur. In addition to his impressive record, Paneitz took home three amateur title belts and was also nominated for amateur KO of the year and amateur fight of the year. Tapology, an online resource for amateur and professional fighters, ranks Paneitz as the No. 1 amateur flyweight fighter in Missouri/Kansas, and No. 1 amateur fighter in the Midwest. Wolves Den head coach Andrew Ebers recently promoted Paneitz to the rank of blue belt in jiu-jitsu. Paneitz will turn 20 later this month, and while he still has room for improvement, his coaches feel he's come a long way in just a short time, a credit to his incredible work ethic. "He's still got a long way to go," Ebers said. "His jiu-jitsu is probably what we haven't seen the most out of him but it actually might be the best part of his game right now. He stays complete, does every single class and trains super hard. We're always telling him to go home. He's one of those guys, similar to Ashley (Cummins) that you almost have to say, maybe take today off." Even more impressive is the fact that Paneitz earned all of his 2017 accomplishments in a four-month period from April to August. In his sophomore year at Missouri Baptist University, Paneitz has to balance his fighting career with a busy wrestling schedule. "Due to his schedule with college wrestling, he can only fight during the summer," Drew Ingrande said. "He literally fought every two weeks." Impressive as it was, his epic clash with LC Hamid might not have been his best performance of the year. For that, you would have had to be in the stands in Ottumwa, Iowa for True Revelation MMA when Panetiz earned a split decision over a hometown favorite in a 5-round title bout. His coach Drew Ingrande reflects on Panetiz's brightest moment from the year. "Highspots for the year, he won three titles," Ingrande said. "He also had a fight in Iowa, the only one St. Louis didn't get to see, it's what you'd call an 'epic fight'. Sam was down the first two rounds, we told them you have to dig deep to win these next three rounds, it was a five round fight. He went back and forth with the best 125er up in Iowa. He ended up winning the last three rounds and winning a split decision in that guy's hometown." The future sure looks bright for Paneitz, congratulations to our 2017 STL MMA Amateur Fighter of the Year. When it was announced that middleweights Kevin Roper and Jeremiah Curtright were going to be matched-up, a collective "ooooh" could be heard echoing among the local fight community. Often, fights that look great on paper don't live up to the hype, this one did. So it's no surprise that Kevin Roper vs Jeremiah Curtright from Gateway Fighting Series: Inferno wins our award with 62% of the vote. Curtright was fresh off a runner-up performance at the UMMAF National tournament where he fought twice in one weekend nabbing a second-round stoppage in the first round of the mini-tournament before dropping a close decision loss in the second. For Roper, he was in the midst of a four-fight win streak and his list of first round KO's were starting to grow. Roper had KO'd Brandon Karcher, Kelly Frazier, and Joe Kelso in five months before defeating Freddy Kostjerevac by unanimous decision. To say Roper was on a role, was an understatement. In the first round, Curtright landed a tremendous uppercut that nearly floored Roper, but the Wolves Den product recovered and dumped Curtright on his back. Roper remained in top control for the better part of the round, and he mixed in solid punches from up top. "In the first round I was rocked," Roper said. "That was the first time I'd been rocked in a fight. I didn't want to get finished, so I just covered up and went in on that single and got it. Once I was there, I knew I was good because I knew he couldn't do much off his back, so I just stuck with my wrestling." Roper's coach Andrew Ebers was in the corner for that fight and credits his incredible toughness and iron will that helped him edge out that win. "Kevin is one of those guys that as Sean Woodson would say. 'born with that dog in him'," Ebers said. "He will just fight, fight, fight with no give-up which was evident in that fight because Curtright dropped him really early in that first round and he came back within seconds. That fight was really epic, and those guys killed each other." 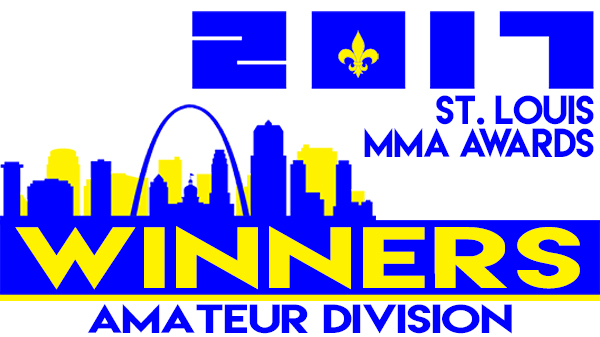 Congrats to both Kevin Roper and Jeremiah Curtright for an incredible display of heart and effort, and for winning our 2017 STL MMA Award for Amateur Fight of the Year. When you think of flyweights, you think of speed, technique, and cat-like reflexes. Bone crunching knockouts aren't the first thing that comes to your mind. So it's a little bit of a surprise that five of the six fights nominated for our amateur KO of the year come from the 125-pound division. 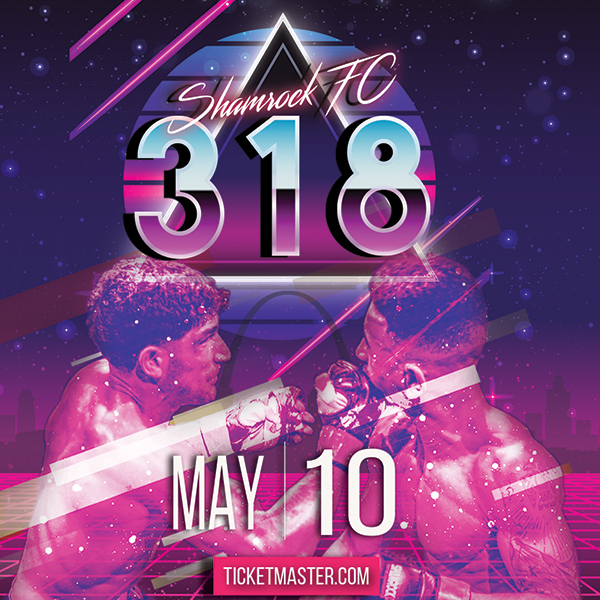 With approximately 30-percent of the vote, Corbin Howard's knockout of Kris Craig from Shamrock FC 286 edges out the other competitors to win our ammy KO of the year. The fourth degree Tae Kwon Do black belt, and college wrestler used a perfectly timed uppercut to drop Craig to the canvas with just over a minute left in the first round. For Howard, this was only his second fight of the year and the sixth of his career dating back to July of 2015 when at 18 years old, he entered the cage for the first time. Rather than breakdown the fight, take a moment to watch Howard's devastating uppercut knockout for yourself. Congratulations to Corbin Howard for winning the 2017 STL MMA Awards Amateur KO of the Year. A full list of the nominees for all of the nine categories can be found here. Nominations were selected based on performances in the 2017 calendar year with suggestions accepted from the St. Louis MMA community via social media. In order to be eligible for nomination, a fighter must complete the majority of their training in St. Louis or the nominated performance must have taken place here. Winners were selected by a 25-person panel that included local coaches, promoters, cutmen, and other local experts.